Guys! With the Canon Photomarathon around the corner… I got a special treat! I’m giving away Fifteen (15) FREE VOUCHERS! All you have to do is reply back (to the FB post of this) with a picture of yourself holding your favorite Canon camera, and answer why Canon is your camera of choice. I would be personally PMing you your voucher. For the first fifteen (15) people only!!! Pictures + answer. Go! How to Register Using the Voucher? Make sure to register a camera product and include the product serial number. If you already have an account, please make sure you have placed a camera model and its serial number. If not, kindly update your account. 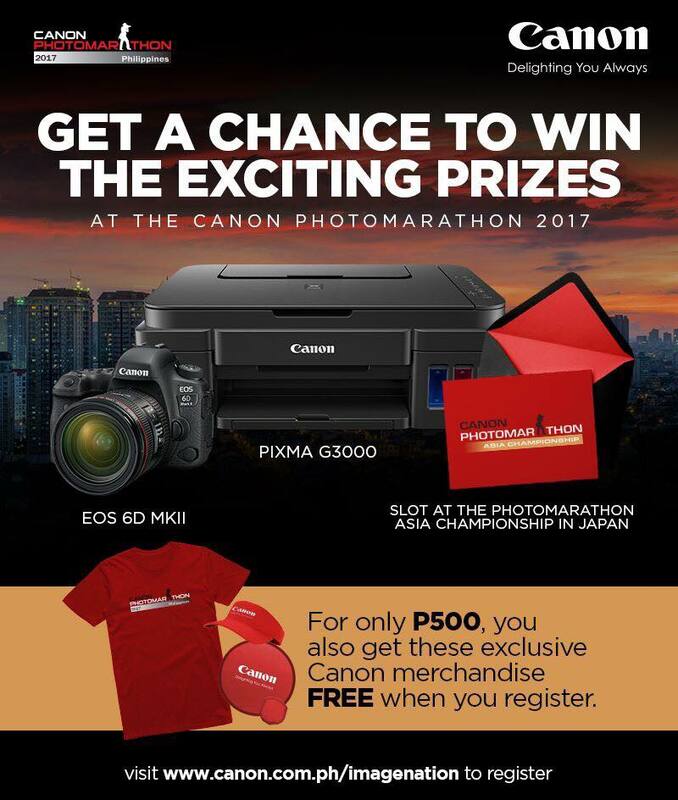 After successful and complete registration to Canon Imagenation, login in to your account then a prompt will pop up and ask you to join the event. Click on “Join” then proceed with payment. Last year, several models came into town and did some shoots for BikiniTeamTV. I was fortunate enough to be part of the production team and to shoot these lovely ladies. Would be sharing my shots from last year’s tour in the upcoming weeks leading up this year’s new schedule in April. For this year’s tour, we are heading for the awesome shores of Batangas for a 5-day shoot. I would be joined by John Neyrot, Greg Hunter and Mike Prado in dishing out the best images for all the babes lined up to join. If you’re a US-based model interested with the tour, get in touch with the BikiniTeam! More details can be found here. Starting this post series with the awesome Tyler Suess. 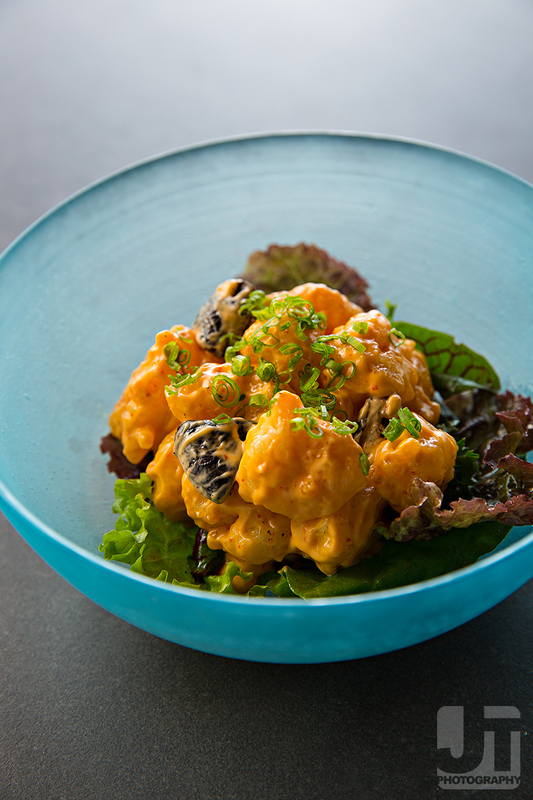 These images made it to the pages of UNO Guam Magazine. The awesome guys at BikiniTeam even made an exclusive video just for the magazine feature. Don’t forget to follow BikiniTeamTV in Instagram, Facebook, and YouTube!Check out my youtube channel for your regular glimpse behind the scenes! While you’re at it, drop buy the online store and get goodies from your favorite models! Claudia was brought to me by my producer friend Carlo, who regularly books these shoots with the team. There are regular fly-ins in Manila. Got one of my favorites Chelsea back at the studio for a classic simple glamour shoot, and head shot concept. I got the black and white jumping shot from a random fashion / glamour image I saw online, and I was drawn towards the old-school styling. The model in the peg was Chinese (or looked Chinese), so immediately Chelsea was top of mind for this. But of course we took the chance on working on some more Asian-inspired / mash-up concepts since we were there already. The scarves belonged to my wife, whom I buy fashionable stuff on trips every time. I first saw these in Narita airport on the way out back to Manila, but passed up on the first chance. When we went back to Tokyo last March, I finally returned to the store and luckily found them still in stock, although not in the same designs. Hannah reworked the scarves into a head piece rather than the wrap around the neck, and it turned out to be quite an interesting accent for a beauty shot. Now anybody with a simple digital camera, even a smart phone can call themselves a photographer. While the debate criteria of what makes a legit photographer rages on, the fact is such technology is here to stay enabling us to take pictures with minimal gear. It’s dramatically changing the way we go about our imaging. Digital photography equalized the playing ground between the so-called “professionals” and aspiring amateurs. With the tools of the trade relatively cheaper to procure, how can your work get noticed? The battleground prior to the digital revolution was equipment and upkeep costs. There was a clear line between the haves and have-nots. Even at the hobbyist level where one already runs on shoestring budgets, the costs of developing film, printing, etc…can take a toll over time. Now that this divide has been blurred so much, the next level of engagement are concepts. Sure, we can all shoot the same things if we just take equipment as the only factor, but it’s with ideas that would separate our work for the rest of the pack. It’s how you approach the subject that defines photography over the kind of camera you shot it with. There’s an interesting article over at Petapixel discussing this with veteran photographer Ken Van Sickle. I somewhat got an idea from that interview in merging them with loose imagineering tools I’ve left scattered in my head. In hindsight, wish I thought of these things prior to writing Geekology 2.0. But alas at least blogs have allowed me a medium to append the work somehow. Ideas are inspired from observation as filtered by our senses and processed against past experience. Patterns emerge as you dig deeper into a common denominator among various concepts executed through photography. A premise I would like to put out there: photography concepts are made with geography and time. The nature of the medium captures time and space within the confines of a frame. So by working in reverse, you can come up with ideas to put within the frame by locking into where and when an image can be captured. A simple exercise based on this is by creating a visual mood board based on a city and decade. You can stop here and do this exercise before pushing forward with the rest of the article. 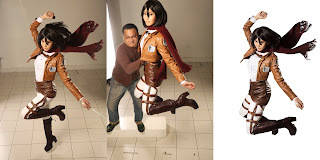 Now the fun part is when you try executing this methodology into cosplay photography. Our point is to reverse engineer the elements of a particular character then recreate a new world derived from a place and time based on their inspiration. 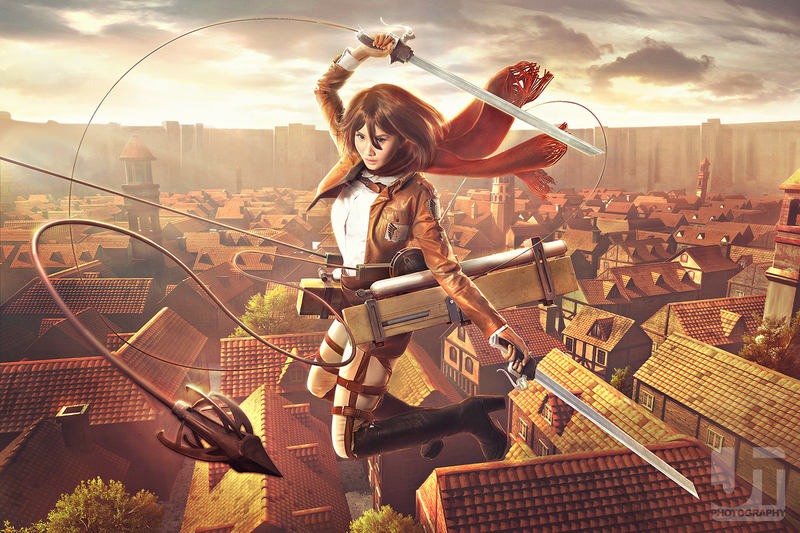 But first we have to understand how an effective conceptualized cosplay image works. Connection to the familiar or archetype of the character in question. Hidden “Easter Eggs” creating references to related concepts surrounding the character. The connections themselves can range from the obvious to the subliminal. Our brains work by connecting the dots between separate ideas. That’s how we keep memories or understand abstract concepts or even remember things. The same logic follows for imagery. We get to engage our viewer’s imagination with references they can draw out from our initial image. This is dependent on the number of connections we have injected (intentional or otherwise) into the image subjected against the viewers familiarity to the subject. The more our image (and its surrounding concepts) overlaps with the viewer’s experience of pop-culture, the more we can draw out a reinforced response. How well you are exposed to pop culture and other media determines these connections. Such awareness helps us isolate elements that makes the image effective in the first place and tweak them for maximum impact. We break apart a particular character based on their visual design and reverse engineer the inspiration from which they are derived from. This of course is more along the lines of educated guesses and a totally subjective exercise. But the more common ground found between you (the viewer) and the character design, the more validation you can get. This in turn can help in determining the probable source of inspiration for the character. This is basically a guide into the thought-process on how we came up with a particular cosplay shoot some time ago. 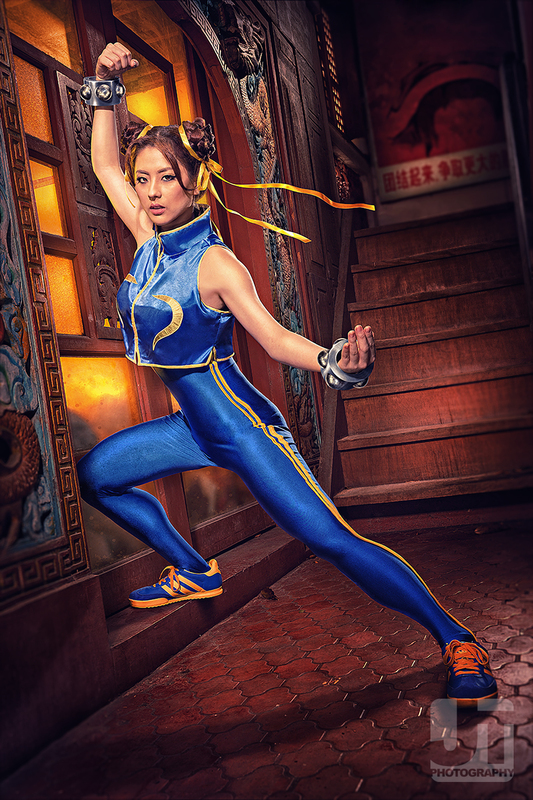 Let’s look at our SF Alpha Chun Li image. We plucked out Chun Li from her video game environs and placed her in a Chinese corridor setting. The location does emphasize the fact that the character is Chinese, but the ending up picking that spot wasn’t a straight forward one. Side Note: My original idea prior to this process is to look for New York-ish back alley setting and just light it up dramatically. That idea quickly fizzled when you don’t find such locations easily in Manila. This particular costume design is from the Alpha series, which takes place between Street Fighter I and II. Hence you would see younger versions of some notable characters plus some casually mentioned ones in II. 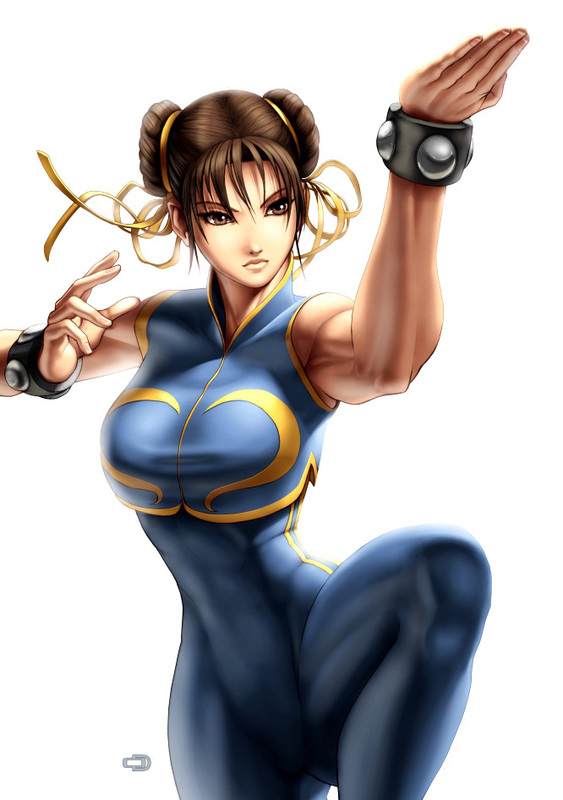 Chun Li’s character design looks like a mash between gymnastic tights and a tracksuit. Add the sneakers, and this passes for a costumey hipster Chinese OOTD if you happen to live in Hong Kong. But why a tracksuit? It could’ve been any other Chinese costume, or perhaps a daintier version of her original one, but this design pays homage of one of Hong Kong’s popular martial arts / actors back in the day: Bruce Lee. Chun Li’s costume design in Street Figher Alpha. Rendition by UDON. The popularized tracksuit was paid homage in Western movies (e.g. Kill Bill). Another Side Note: If you get to play Super Street Fighter, they even have a Bruce Lee doppleganger, Fei Long. From the onset, you would not make the connection right away, but isolate the costume. Both at some point are wearing tracksuits and trainers. Chinese? Martial artist? Coincidental? Perhaps. Perhaps not. We don’t need validate the intentions of the character designer, but what’s important is the connection made between the two based on this character design. Furthermore, you draw out inspiration from the visual cues, but not necessarily from how the character is developed. This is enough to push the thought process along. If you want to further geek out, you can research on what relates the tracksuit to Chinese martial arts and sports. It would also be curious to note the kind of shoes they are issued for it too. By breaking up an image into its visual elements, we can then grow the thought by attaching further related concepts onto each of them. I listed down probable related words derived from the character design using terms, ‘tracksuit’ and ‘Bruce Lee’ as my anchors. Mental Note: I purposely skipped out on Uma Thurman’s Bride homage to the same tracksuit since it’s already modern day take. This is an exercise in drilling down into the root of the visual design. Art on the other hand is determined by method and time. Artists born throughout centuries have introduced various painting styles and techniques. Some have become synonymous with them. Picasso is to cubism, as Salvador Dali is to surrealism. The same can be said with photography concepts, or concepts in general. Use the color grading of these movies, leaning into a yellowish tone. Desaturate on certain hues, but bump up the remaining color. Find a location that best matches a fight scene in these movies, with strong Chinese cues. It just so happened that my production designer had this setting in their ‘backyard’. As of date, this location has been demolished. Mental Note: You can also use a contemporary movie such as Kung Fu Hustle as design inspiration as well. We ended up deriving a scene from martial arts movies and injecting Chun Li in it. This plays up the fact that Chun Li is also a martial artist, and her SF Alpha costume somehow pays homage to Bruce Lee.Check out my youtube channel for your regular glimpse behind the scenes! While you’re at it, drop buy the online store and get goodies from your favorite models!